If you’re looking for a job or starting and building a business, Wichita has a variety of low-cost and free business and career help available. Here are just a few I’m aware of. Please suggest a resource to add to this list by using the comments section below. – Free services and resources for both job-seekers and employers. Job-Search Success and other workshops, career fairs, job listings, etc. ; registration required for access to free services. Link to workshop info and registration. Free technology training classes, including online job search tips, resume-building, Microsoft Office, and more. Reference materials, sample tests, and other resources available to borrow or use onsite. – Free and low-cost business workshops, consulting, and training. – Many resources for Kansas business owners, including a very comprehensive calendar of classes, workshops, and seminars separated by region. – Workshops and classes available for a small fee, with big discounts available for WSU students and staff. 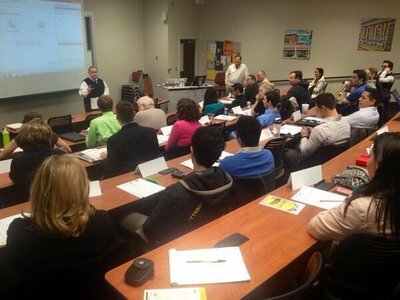 – Free Forum series for area business owners, entrepreneurs, and students. – Technology, business, and other career courses available for a fee. Downtown Technology Training Center, non-credit online courses, public classes, group classes, and customized training are available.